The Citizen Justice Network (CJN) is an award-winning media innovation that trains community paralegals to be radio journalists, the community paralegals are established, trusted activists and fighters for social change in their communities. We empower them with journalism skills necessary to help their communities and assist with access to justice. 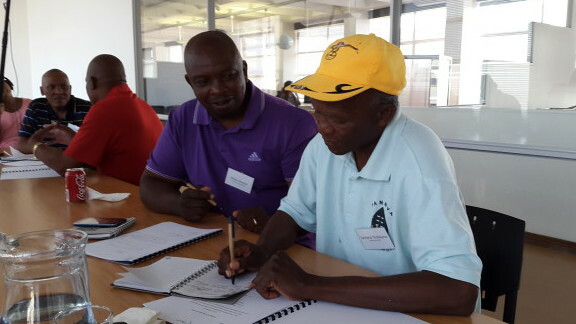 CJN is about helping rural community members produce their own radio stories. CJN seeks to appoint a Managing Editor, to be based in Johannesburg. Responsible for overseeing a collective group of paralegal journalists. Responsible for reviewing all work submitted by paralegal journalists. Ability to work as a member of a small, hard-working, team which is passionate about human rights. To apply, submit a CV, motivation letter and the names and contact details of three referees (incl. e-mail addresses). The University retains the right not to make an appointment and to verify all information provided by candidates, including qualifications and credit standing.